Here is a picture of a man watching a film inside of an empty and dark cinema hall or theater. 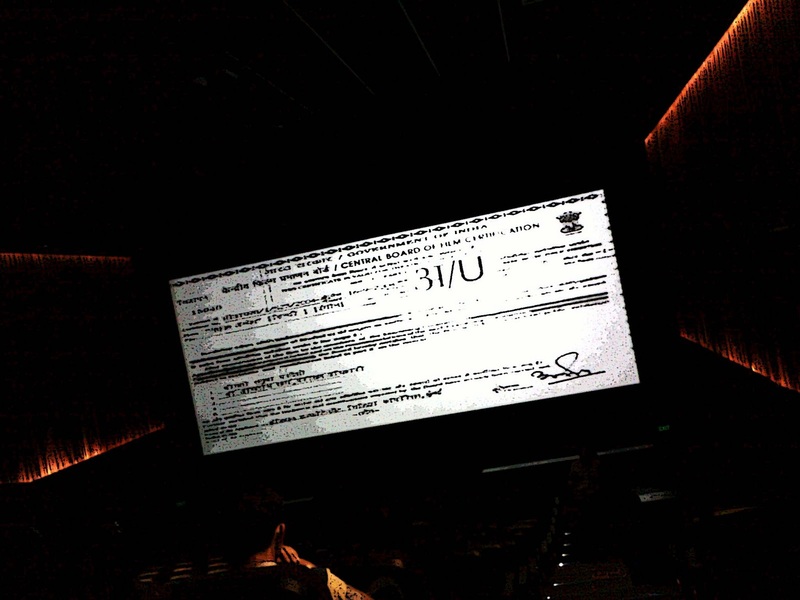 On the screen is and image of the certificate from the censor board which is mandatory for all types of films. This image is seen at the start of all films, whether it is ad films, documentaries or entertainment. This second image is a screen showing the beginning of a Hindi (Bollywood) film. 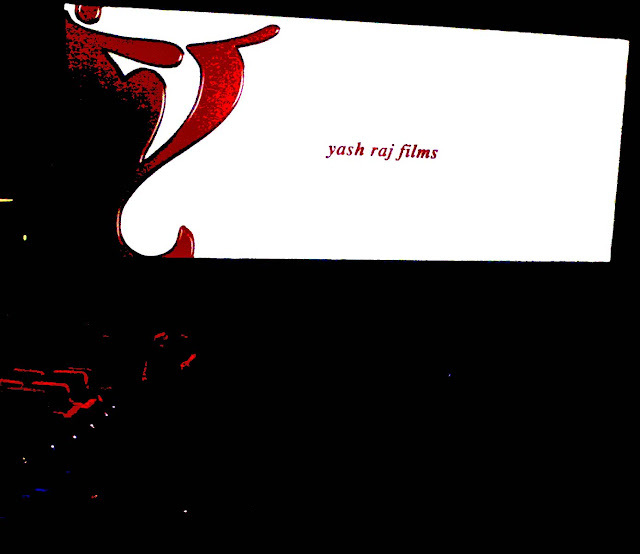 The yash raj banner is a famous one in India. In the foreground you can get a glimpse of red seats and a figure of a man walking up the aisle.